Symbol LS 4000 - Undecoded kit: Scanner, undecoded cable &. See Symbol LL500 for required wedge. 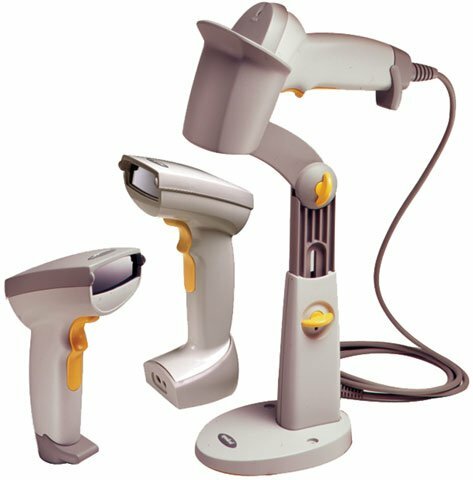 The LS 4000 Series is the result of Symbol's experience in the design of innovative, high-performance scanning solutions. The LS 4000 incorporates a 650 nm laser that provides a bright scan line ensuring easy aiming even in high ambient light conditions. Combine this with a robust working range of contact out to more than 16 in. (40 cm) on 100% UPC codes and barcode data capture is a snap. Plus built-in Adaptive Logic Signal Processing decodes poorly printed and damaged barcodes. System integration is facilitated with Advanced Data Formatting (ADF), a Symbol innovation that enables the barcode data string to be modified before sending it on to the host computer. This enhances compatibility between barcoded data and the applications software by allowing the scanner to be programmed rather than modifying the host application which could be costly. All units ship with one product reference guide. All units feature Symbol's 5 year warranty. Replacement battery for the Symbol/Motorola LS 4071. Original part number 21-19022-01. 6 volts 730 mAh. The Symbol LS4000-I100-01 is also known as Symbol Technologies	SYM-LS4000I	or LS4000I10001	.